YANGON — Two reporters, including a correspondent from the Yangon bureau of the Reuters news service, were arrested on the northern outskirts of the commercial capital last night and will face charges under Myanmar’s colonial-era Official Secrets Act, Frontier has learned. Ko Wa Lone, 31, and Ko Kyaw Soe Oo, 27, were walking north on the Number 3 Main Road in Mingalardon Township, near the corner of Nilar Road, at 11:30pm on Tuesday. During a search of the pair, police allegedly found the pair in possession of two military reports and a map of a location in Rakhine State. It is unclear why the pair was travelling on foot in such a remote location at that time of night. Frontier has been told that the Htaukkyant Police Station has accepted criminal charges filed by an adjutant military officer. The charges, under Section 3.1 of the Official Secrets Act, mandate a maximum 14-year penalty for the unlawful possession of military documents. Wa Lone, formerly a senior reporter for the Myanmar Times, joined Reuters in July 2016. He has regularly reported on military activities in northern Rakhine State. Frontier understands that Kyaw Soe Oo had been assisting Reuters with their coverage of military affairs in Rakhine State. 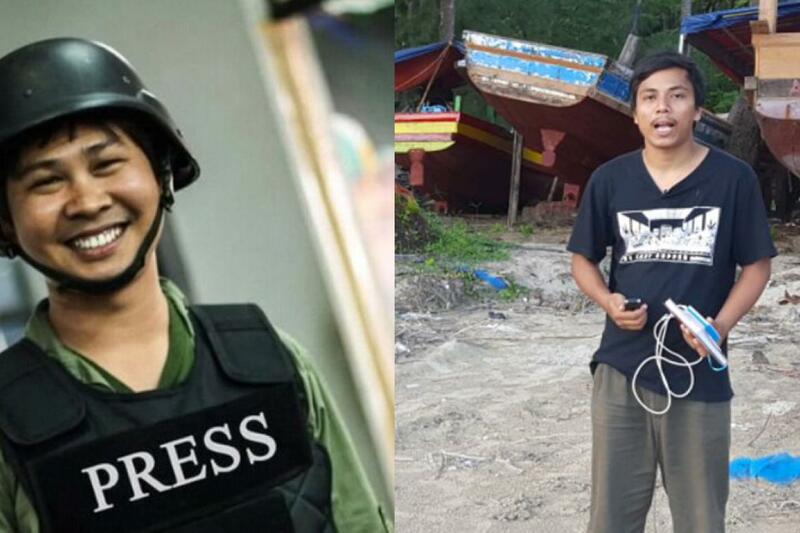 "Reuters reporters Wa Lone and Kyaw Soe Oo have been missing since Tuesday night," a Reuters spokesperson told Frontier by email Wednesday. "We have filed a missing person’s report and are doing everything we can to locate them."